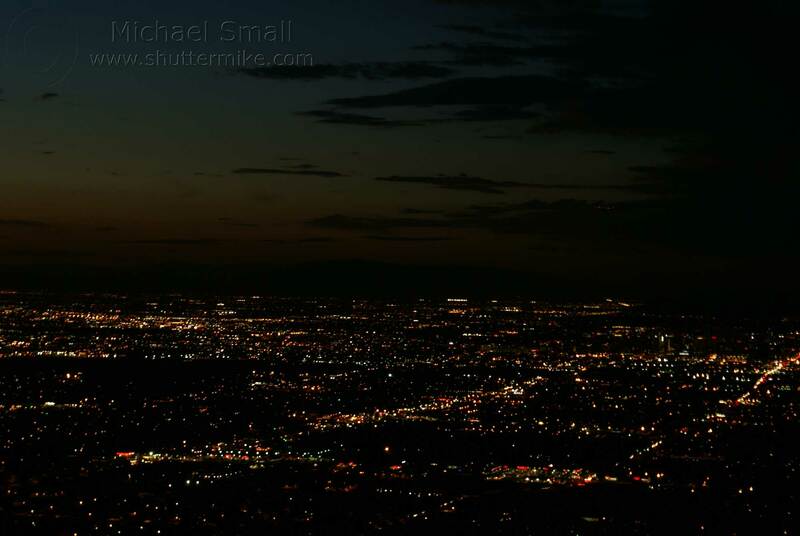 After photographing the fireworks last week I decided to try some more night time photography. 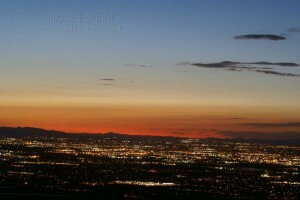 South Mountain in Phoenix is known for its sunset and city lights views. 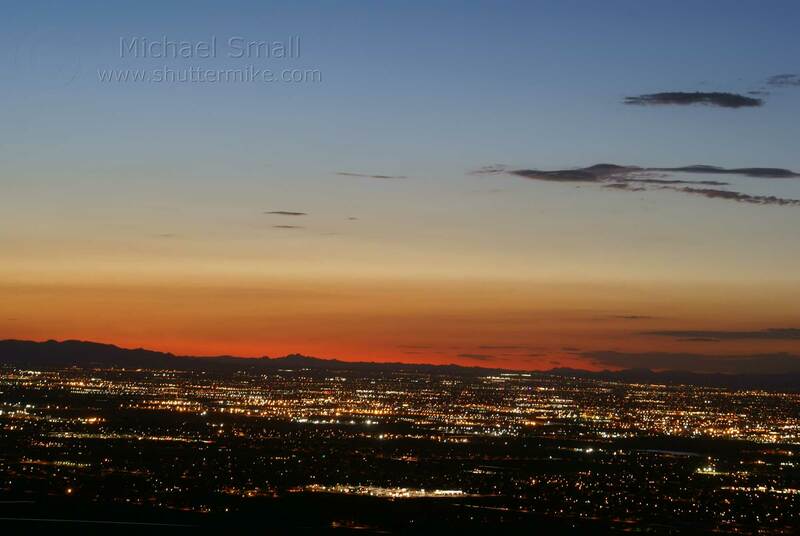 A short drive up to the 2600 foot summit gets you to a great lookout over the city perfect for photographing the sky and city below. This was definitely a trial and error process for me as I am taking the camera off the auto mode and manually adjusting the settings. For this shoot I played with shutter speed to see what I got and hopefully learn something in the process. Ideally I should not be focusing on one setting in the “Exposure Triangle” and leaving the others to default, but I am trying one step at a time. As with shooting fireworks timing is everything. Lesson learned: get to the destination early enough (in this case before the sun starts setting) to stake out a good spot and get everything set up. 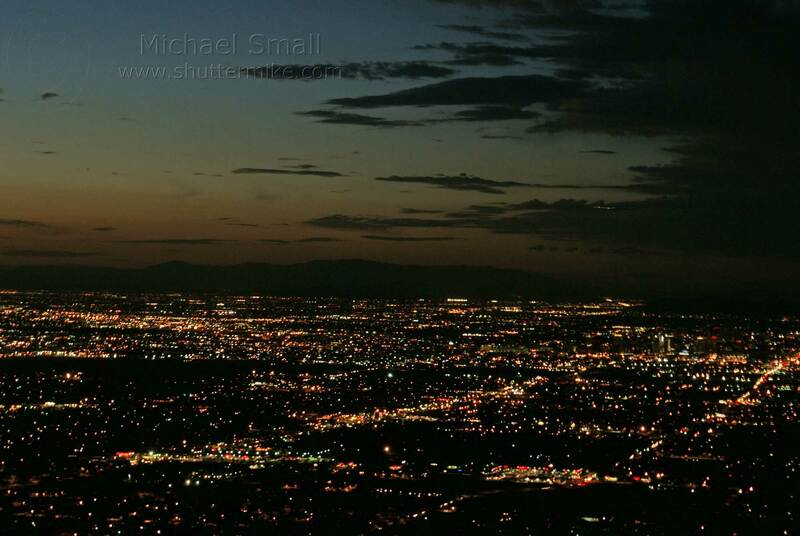 For photographing city lights twilight is ideal rather than when the sky is completely dark. Tripod, tripod, tripod. My camera has image stabilization built into the body. But at slow shutter speed a tripod is critical. A remote would have helped too. 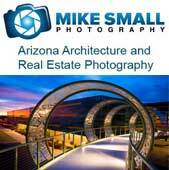 Underexposure and overexposure are very easy to do. If I had adjusted the aperture and ISO as well as the shutter speed I’m sure I could have improved exposure greatly. Otherwise I need to experiment more to find a happy medium. Or there are some Photoshop tricks to adjust this after the fact. But I prefer to get it right without having to do too much editing.